The newly proposed section 355-103 ITAA1997, providing an exception for large business in claiming the R&D Tax exclusions are referred to senate for further inquiry. The Tax Laws Amendment (Research & Development) Bill 2013 passed the lower house only days ago, but will be fully investigated by the Senate for economic impact. A report of the inquiry findings is expected on 17 March 2014. As of yesterday, the ALP has indicated it may withdraw its support for this measure over tense debates with the Coalition on its proposed $20 billion spending cuts. The principle issue for consideration relates to the potential negative economic consequences if the exclusion provisions are enacted. 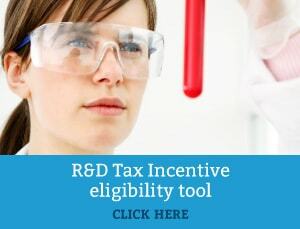 ANZ, Westpac, NAB, CBA, BHP Billton, Rio Tinto, Westfarmers, Woolworths and Telstra will no longer be able to claim the R&D Tax Incentive if the Bill is passed. The Bill is expected to save taxpayers $1.1 billion over four years. Please contact us if you would like assistance with your submission or have any comments that you would like us to pass on to the inquiry on your behalf.